When the studio location moved from Lincoln Park to Wilmette, I did not have an interior design plan and just repurposed furniture I had from the previous location. Over the past couple of years, I have slowly worked on the interior design, displays and decor to best showcase the stationery designs. For those of you who have not visited the studio, here is a tour of the space and some of my favorite elements. I kept the color palette simple and clean to create a nice bright canvas to let the design work be the main focus. I chose a soft grey wall color, white furniture with organic accents; butcher block countertop, jute baskets and table runner. Also, there are some frames and other accent pieces in brushed gold, white and black, keeping with the simple classic style. I love high ceilings with the oversized windows and all the natural light they provide while I am painting. My favorite part of my studio is the chandelier that displays some my invitation samples. It was inspired the famous Zettel'z 6 Chandelier by Ingo Maurer, that I have loved for years. I felt like it was a fun and creative way to show my samples! 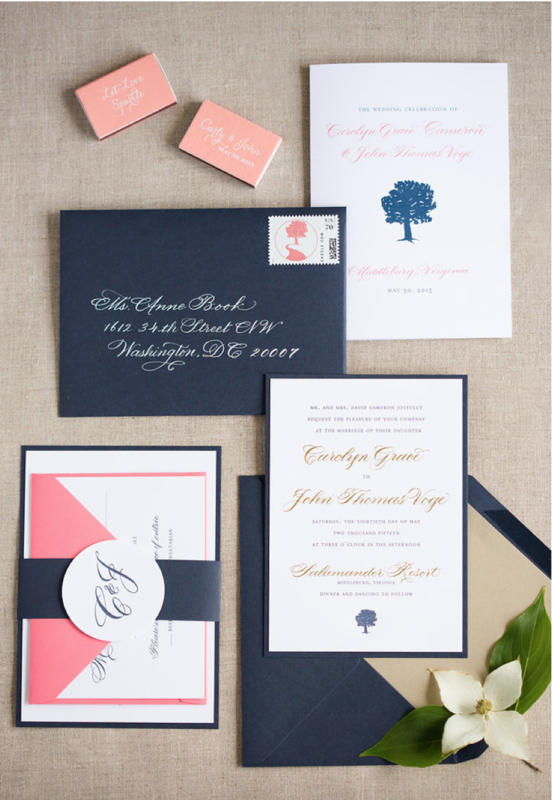 There are so many details to plan for your wedding day, so to get the perfect photos of your wedding invitations and other paper goods I put together some advice for brides. Carly and John’s wedding photography by Patricia Lyons, styling by wedding planner Anne Book, invitation design by Charm Studio and calligraphy by Stacey Shapiro. When selecting your photographer notice their photos of paper goods and make sure you like how they style and shoot them. Discuss what you are looking for before hiring them. As you begin to design your paper goods, order an extra specifically for photos. When ordering save the dates and invitations include an extra with envelope and address to be used only for photography. For the address, you might want it to include your maiden name and current address as a nice keepsake for your wedding album. Also, make sure to include all cards and elements! Start a “photography box” to have one place where you keep all samples for the photographer. Add the samples in it as you design each paper good so they all stay pristine and ready to be photographed. Make sure to include a sample of your welcome bags for your photographer too! Make a shot list of other day of details you want included too; menus, signature drink signage, cups, napkins, and more! Talk to your photographer ahead of time about shooting the paper goods. Discuss styling elements, backgrounds, florals, trays, jewelry and other accessories to be included in the photos. Collect your styling elements and have them in the photography box ready to hand off to the photographer on your wedding day. 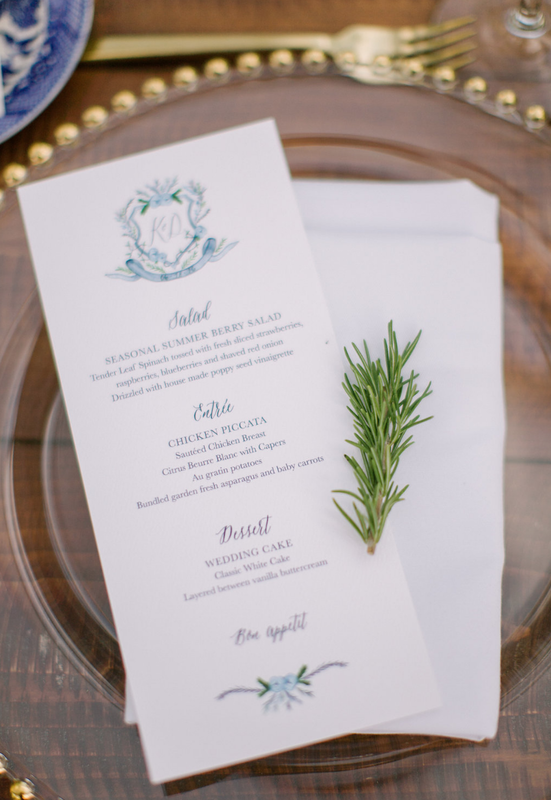 Carly and John’s wedding is a perfect example of beautiful invitation and paper good photographs (below). Photography by Patricia Lyons, styling by wedding planner Anne Book, invitation design by Charm Studio and calligraphy by Stacey Shapiro. For more photos from Carly and John’s wedding view their gallery. I hope this helps you prepare your picture perfect photos! 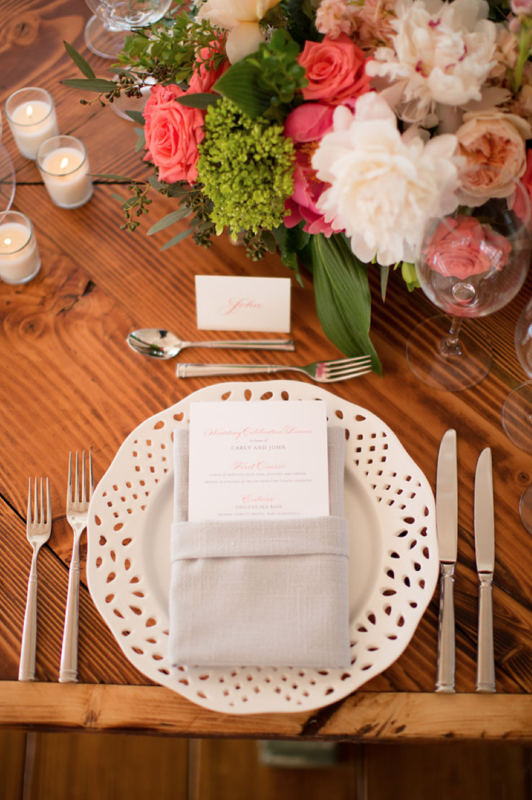 Putting the finishing touches on your reception paper goods makes all the difference for a polished overall look. I have collected some of my favorite examples from weddings I have helped design with tips on how to archive this look for your wedding. 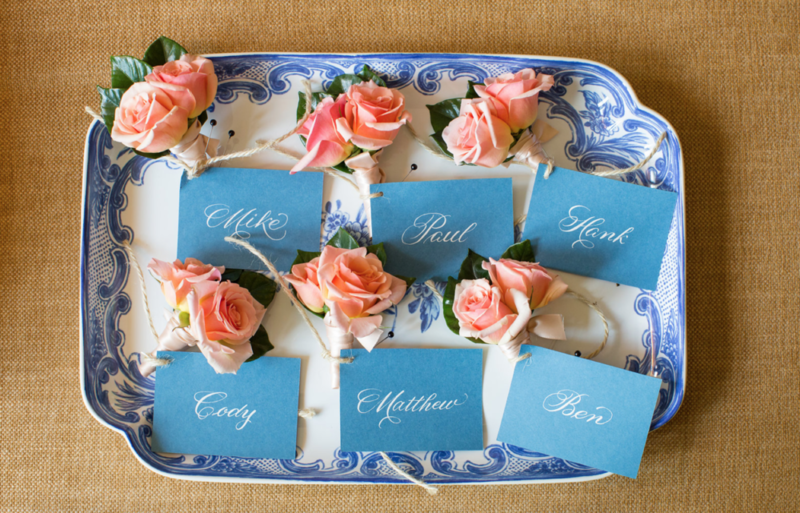 Pretty table numbers are actually really hard to find. I have put together a collection of classic simple and pretty holders and where you can find them. Chargers make the perfect backdrop for your menus, I especially love how it looks with a round menu. A simple acrylic, silver or white frames help subtly give your table numbers, menus and other signage a finished look. I suggest the simpler the better and let the signage and other decor like florals take center stage. All photos above are my work from real weddings. To see more photos from these weddings please see the Charm Studio gallery.